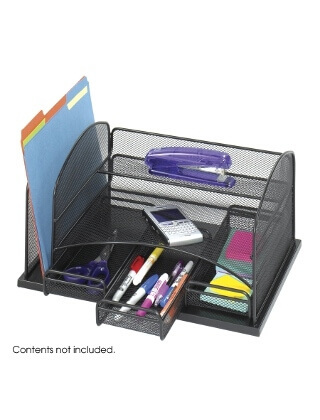 This mesh desktop organizer has one horizontal letter tray and one vertical section perfect for files. And for smaller items, easily organize them with three accessible drawers. Steel mesh construction with powder coat finish. Limited Lifetime Warranty.